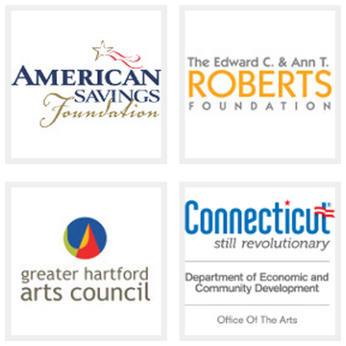 With a dynamic 2013-2014 season consisting of over 40 orchestral, operatic, and chamber music performances, as well as numerous educational programs that enrich the lives of our youth, the Connecticut Virtuosi Chamber Orchestra is playing an increasingly important role in shaping the cultural landscape of Greater New Britain. Last year the orchestra reached a milestone of 15 years together. With your support, the Virtuosi will continue to grow in the coming year as a strong artistic voice for progress, inclusiveness, and the importance of beauty as a fundamental value in society. PERFORMANCE SEASON: The 2013-2014 Heritage Concert Series builds on a 15 year tradition of free orchestral concerts in New Britain, presenting the music of Bizet, Chopin, Bach, Szymanowski, Mozart, Saint-Saens, and Kilar, and outstanding soloists such as Neal Larrabee, Brunilda Myftaraj, 9 year-old violin prodigy Michelle Stern, and 14 year-old pianist Alex Tiratsuyan. 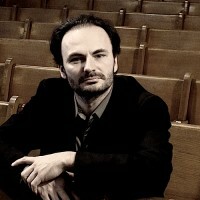 In partnership with Connecticut Lyric Opera, the Virtuosi will also present a full season of operas in New Britain, opening on November 1st with Wagner’s The Flying Dutchman at Trinity-On-Main, the Connecticut premiere of Wagnerian opera, and Viktor Ullmann’s rarely performed gem Der Kaiser von Atlantis, which was composed in a concentration camp. For a full schedule of all upcoming performances, please view the enclosed calendar. EDUCATION: The Virtuosi is developing a number of tremendously successful educational programs in the New Britain area, including the Virtuosi Music Academy at Tunxis College, which offers affordable, high-quality music lessons for all, and the Virtuosi Summer Music Institute and Festival, a two-week summer festival in which participants from several continents, age 9 to 25, work together to explore and develop their love of music. In the coming year the Virtuosi will continue to build a partnership with the New Britain School district to offer an after-school youth orchestra program for elementary school students, and also expand the Virtuosi’s in-school performance series to reach over 2,000 New Britain students in a series of 10 concerts for New Britain schools. The Virtuosi strive to enrich the lives of children, and the community at large, by teaching children to play an instrument, and inspiring them with a first-hand experience with a live orchestra. PRINCIPLES: The Virtuosi is an organization based on principles of effective management, artistic integrity and quality, and collaborative partnership. 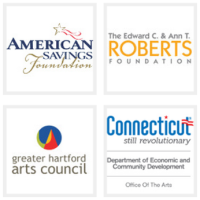 We continue to build strong partnerships with CT Lyric Opera, Polish Studies at CCSU, the New Britain Chorale, the Consolidated School District of New Britain, and many others. YOUR SUPPORT is a form of partnership with the Virtuosi in building a better future for our entire community. We ask you to consider supporting the Virtuosi by sending a tax-deductible contribution to the Virtuosi office at 19 Chestnut St., New Britain, CT 06051. GALA: We also hope that you will join us on October 20th at 6 p.m. at the Country Club of Farmington for the Fall Gala Dinner following the Season Opening concert at CCSU’s Welte Hall. Please see the invitation and the RVSP card (pdf). Feel free to contact us with any additional questions you might have. VERDI REQUIEM in Review Heritage Series Inaugurates on Oct. 20th.